What: A former police officer and former Special Agent with the U.S. Secret Service, he holds a degree in Administration of Justice from Penn State University and also earned a M.S. degree in Criminal Justice Administration. He the author of the crime novels RESOLVE, MEASURE TWICE, CHALK’S OUTLINE, and several short stories. His next novel, BOLT ACTION REMEDY, is scheduled for release in late 2017. I just finished MEASURE TWICE and it was a great read. Can you tell me a little about how the book came about? I wrote most of MEASURE TWICE while I was waiting for the publication of my first novel, RESOLVE. It was a long stretch between when RESOLVE had been purchased by a publisher and when it was to be released, so I had to keep writing in order to not go crazy. There were only so many times I could redesign my website or tinker around with my Facebook page, so I decided to crank out another novel. I really liked the use of the twelve steps of addiction as chapter headers in MEASURE TWICE. How did you come up with that device? Was it difficult to stick to it as the story evolved? I had done something similar with my first novel, which I had structured by dividing the book into 26.2 miles in order to mirror the mileage of a marathon. When I started writing MEASURE TWICE, I was thinking a lot of my hometown of Huntington, WV which was (and still is) in the middle of a major epidemic of drug addiction. Many of the people I grew up with have either been through rehab, are incarcerated, or have died. So, I decided to take on the topic of addiction from a unique angle by having both the protagonist and the antagonist suffer from addiction and by telling the story through the twelve steps of addiction recovery. I didn’t really have any trouble sticking to the structure, since I don’t outline my novels ahead of time. I usually allow the structure of the novel to serve as my guide for how the story will flow. It’s kind of an internal outline. Is that a thing? As a former police officer and former Special Agent with the Secret Service, how much of your own experience is in Detective Channing? I definitely incorporated my training and experience into the character. It’s always important to me to be authentic in how I portray law enforcement professionals when I write stories. There is too much Hollywood junk out there that leads people to misunderstand how investigations are conducted and what powers the police have and don’t have. Therefore, I created Jackson Channing as a flawed, but terrifically analytical investigator. 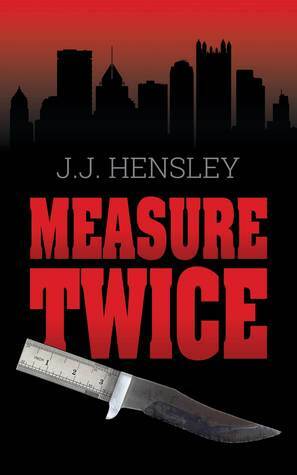 How does MEASURE TWICE differ from your other two books? Do you have a favorite? Measure Twice is the only book I’ve written that is completely in the third person. 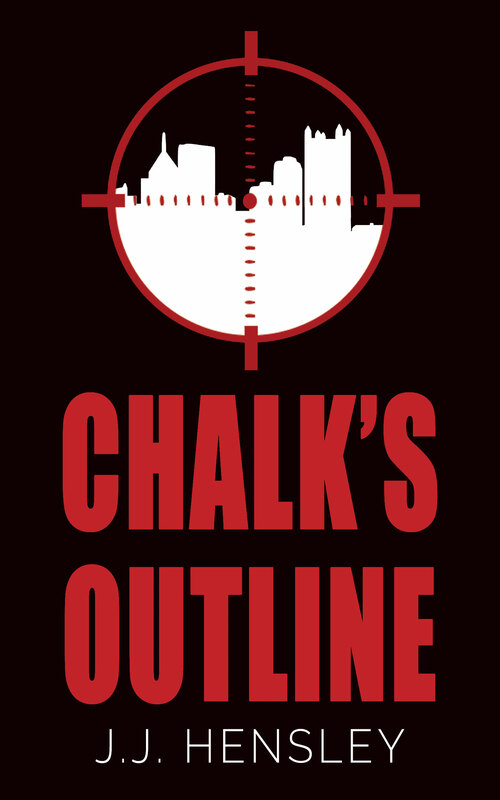 RESOLVE was first person and CHALK’S OUTLINE is in both first person and third person, depending on which character’s point of view is being conveyed. I often get asked which book is my favorite and I never have a good answer. RESOLVE was my “first born” and received a lot of award recognition and other accolades, but each book is linked to my mindset at particular times in my life. It’s how I express my opinion on certain matters and make subtle social commentaries without sounding like a documentary. Therefore, my favorite book is usually the next one I’m writing. All three of your books are set in Pittsburgh. Why is that that right location for these stories? Now that I live in the Pittsburgh area, I wanted to give Pittsburgh readers the same feeling. Pittsburgh is perfect for books and movies, because the landscape, architecture, and population are all so diverse. It’s not one setting, it’s twenty. Aside from that, there are so many awesome cities in the U.S. and each has its own pulse. I think people love reading stories set in places they have yet to visit. I mean really… how many books do we need that are set in New York City or Los Angeles? What are some of your other favorite thrillers set in Pittsburgh? Who are some of your favorite writers? 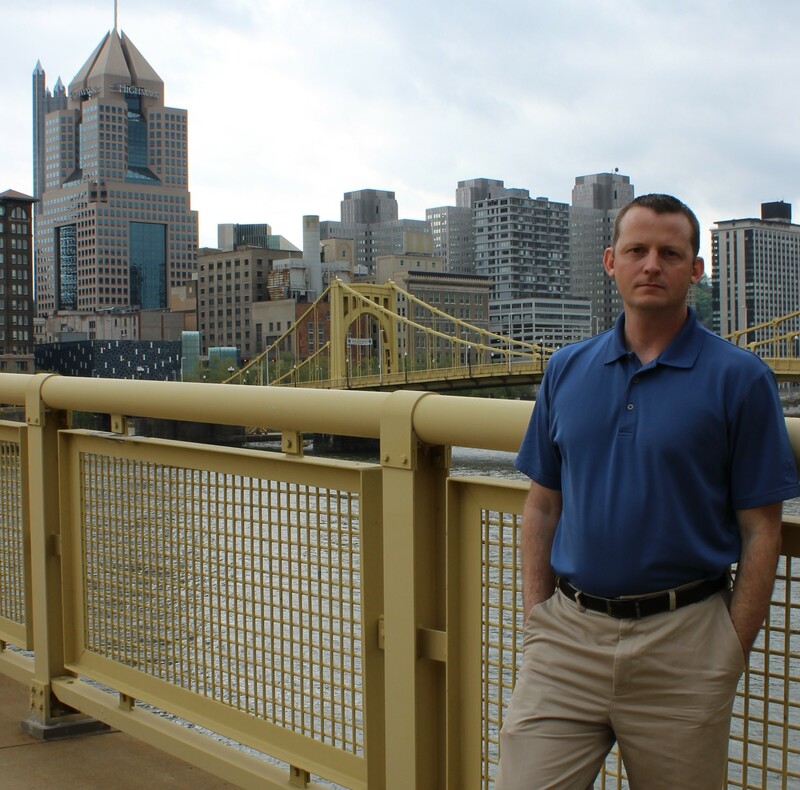 Pittsburgh is kind of a hidden gem when it comes to finding talented writers. Off the top of my head, two of my favorite novels set in the area are TOMORROW AND TOMORROW by Thomas Sweterlitsch and ONLY EVER YOU by Rebecca Drake. However, we have a large and talented writing community here. Most of us are listed HERE. How has your writing evolved over the course of publishing three books? Are you aware of any specific changes in your style or approach to writing? Since I’ve gone from first person to third person to mixing it up, I hope I’m becoming more skilled in conveying my characters’ points of view in a variety of ways. I’m also working to be more descriptive of characters and scenes because I tend to visualize events unfolding as if I’m watching a movie. While I may think the movie in my mind is akin to The Maltese Falcon, it’s possible the reader would think it’s more like Police Academy 5. I really don’t want to write Police Academy 5. Really. My next book, which is unrelated to my previous works, is BOLT ACTION REMEDY. It comes out through Down & Out Books in the Fall of 2017. 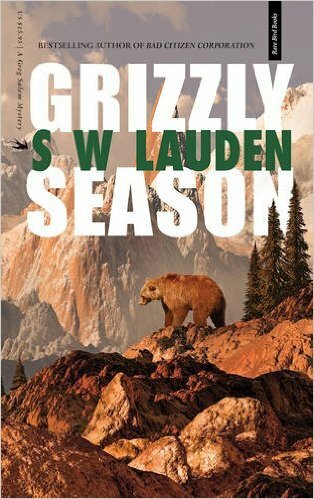 It involves a former narcotics detective name Trevor Galloway and is set against the backdrop of a biathlon training camp. The follow-up to that book is called RECORD SCRATCH and is expected to come out in the Spring of 2018. Lately, I’ve been focusing on some shorter works and recently had a story titled “Ink” published on Shotgun Honey. I’m hoping to have short stories in two anthologies in the coming months. After that… who knows? Inspiration seems to hit me at unexpected times. Or when I drink a few scotches. But, then the editing the next day is going to be hellish. This entry was tagged #amreading, #amwritng, #interview, #qanda, Bolt Action Remedy, Chalk's Outline, Down & Out Books, J.J. Hensley, Measure Twice, Pittsburgh, Resolve. Bookmark the permalink.